Two seemingly unrelated recent events have highlighted fundamental flaws in the basic model of gun control. They involve the national gun registry in Canada and a small gun shop in Tacoma, Washington. Canada's ambitious Firearms Act, a flagship of Liberal Party social policy, took effect in December of 1998. It required all gun owners to obtain a personal firearms license and register each gun with the Canadian Firearms Centre. Recently, Canadian newspapers were filled with stories portraying the undertaking as a total disaster. It was originally promised to cost taxpayers only two million dollars, but the bureaucracy has sucked almost a billion Canadian dollars from strained national coffers. To give American readers some idea of the size of this debacle, remember that Canada has roughly one tenth our population. 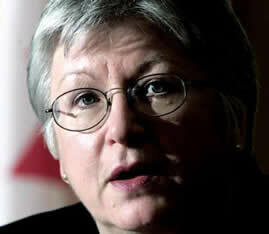 The current scandal was triggered when Canadian Auditor General Sheila Fraser released a report exposing numerous errors and deceptions by those who ran the program. Even those who favor gun control are horrified by the astronomical cost overruns and underhanded efforts to prevent Parliament from discovering the problems. This is a classic example of what happens when a national government is hijacked to carry out an ideological agenda. But there is another important lesson here on the limitations and inaccuracies of a gun registration system. According to various reports, many Canadian gun owners were issued inaccurate or largely blank registration certificates. Many violent offenders were not listed in the database of restricted persons. In order to speed up the process and avoid the appearance of failure, thousands of applications were approved without any background check being performed. The agency was apparently unable to cope with the incoming applications even though some say that over 40 per cent of Canada's gun owners have not registered. The registry is essentially useless and since money was diverted from other law enforcement priorities, the net effect is a reduction in public safety. This developing Canadian scandal has an interesting parallel in Tacoma, where the infamous D.C. Snipers allegedly obtained the rifle they used in their killing spree. Everyone seems to agree that the rifle was sent to the gun shop by the manufacturer, but it isn't clear how it got into the hands of Muhammad and Malvo, who were banned from owning guns. Perhaps they simply stole it or perhaps the shop owner sold it for cash that he kept off the books. In any case, the background check and paperwork required by the much heralded Brady Act were bypassed. Authorities imply that hundreds of guns may be unaccounted for in this one shop alone. These two situations point out the futility of trying to keep guns out of the hands of criminals by using a registry system. If human beings are involved, as they must be, there will always be errors, omissions and fraud. Even if the system could be made foolproof, criminals will always find easy ways around it, like simply stealing the guns they need. It is difficult to understand why the gun control lobby has any standing at all in public policy discussion. Even the strictest gun prohibition on the planet has not been effective. Since Britain enacted the final, absolute ban on handguns and ultra-tight control of long guns in 1997, the country has experienced its worst wave of gun crime in history. It would seem that the tighter you make the gun laws, the better criminals like it. Yet the gun haters, blinded by their obsession, still urge us to throw good money after bad into their expensive schemes. The only form of gun control that works is to lock up more criminals who misuse them. Costly bans, registration and licensing are a scandalous waste of precious resources. Dr. Michael S. Brown is an optometrist and member of Doctors for Sensible Gun Laws. He may be contacted at rkba2000@yahoo.com.